Previously published in hardback as Cooking Outside the Box. This stunning new paperback offers delicious, beautiful, seasonal recipes from Britain's organic food hero! A stunning paperback version of the highly successful original Cooking Outside the Box. A cookbook to love, a cookbook to read, with irresistible organic recipes from Keith Abel, the utterly charismatic co-founder of Abel & Cole, Britain's most successful organic home delivery company. 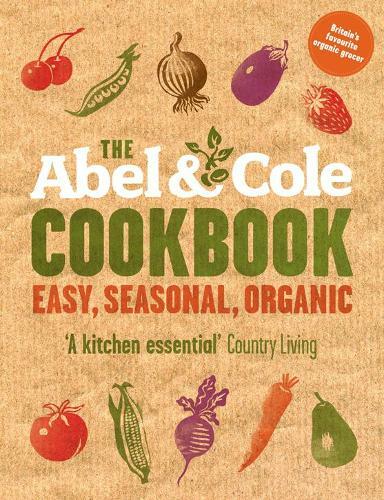 The Abel & Cole Cookbook: Easy, Seasonal, Organic provides mouth-watering excuses for eating glorious food exactly when it comes into its best. These are inspiring yet unfussy recipes that let simple ingredients speak for themselves (but don't try to stop him speaking on their behalf). Brilliantly written and entertaining, even the most timid cook can approach these recipes with gusto. Who wouldn't want to cook Keith's way? So throw out your measuring cups, get rid of your scales, and get to know your food! I must state from the offset, I am probably bias, having worked at this organic food delivery company for a while.